Kari was the best guide/driver I have experienced in my 77 years of travel; he has my highest recommendation. He thought the roads might well be closed the day he picked up us (and they were) so he came into the city from his suburban home and stayed at a hotel the night before to meet us on time. Since we could not get out of the city, he took us around to quaint places we had not seen and then to a friend's house for coffee and a live music session until some roads opened around noon. With an internet app, he found which roads might be open and took a long route to reach what we wanted to see, staying with us until almost 8 P.M. to include everything. Similarly, he spent longer than agreed with us the next two days to deal with road closing and still show us what we wished to see plus additional things we did not know about. Kari was kind and considerate, taking wonderful care of both me with some limitations at 77 years old and my very active 50 year old son. He was knowledgeable, down-to-earth, and funny. My son really enjoyed their conversations. If my writing any more accolades for Kari would help him in any way, I certainly will. He is a rare find so please keep him as your best guide/driver. 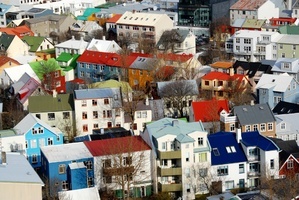 Upon arrival, your private guide will meet you at the airport in Keflavik and take you on a driving tour around Reykjavik and its vicinity. You will see the old town center, the Parliament, the harbor, the Hofdi house and the impressive Harpa Concert Hall. We will visit Hallgrímskirkja church which is one of the main Reykjavík's landmarks. You will stop for lunch at the Perlan center offering breathtaking views from the 4th floor terrace and from the restaurant on the 5th floor. In the afternoon you will check into your centrally located hotel. Overnight in Reykjavik. Thingvellir National park - Geyser hot springs - Gullfoss Waterfall. Our destination today is Thingvellir National Park, a historical site and a natural wonder on an international scale, protected by UNESCO. Originally established as the place where Alþingi (the parliament) was founded in 930 this place had served a grand role in Icelandic history since the settlers came. You can find ruins of old stone shelters, the lakes and the Lögberg e. Law Rock. The park sits on a rift valley caused by the separation of two continental plates, with rocky cliffs and fissures like the huge Almannagjá fault. In this separation sits the amazing Silfra fissure, one of the world’s most desirable snorkeling spots. Located in the heart of Thingvellir National Park, this narrow channel of blue water meandering through a giant lava field does not look like much on the surface. But below, supernatural shades of blue, perfect visibility and incredible rock formations make up a magical sub-aquatic paradise. 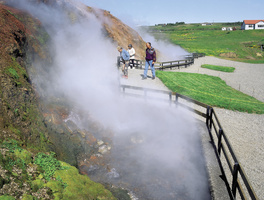 In the afternoon we will explore the geothermal pools around Geyser and see Strokkur erupting every few minutes. It is one of the phenomenal experiences to witness. Our next stop is at the famous Gullfoss waterfall with milky green colored water from the glacier Langjokull, the second biggest glacier in Europe. Today we will spend the night in the Hella - Vik area, conveniently located for the next day's exploration. Overnight in the south. Today we start driving to the Eyjafjallajökull area to see the surrounding of the notorious Eyjafjallajokull that erupted in 2010 and closed down all air traffic over the Atlantic Ocean. We will visit Lava Center - a state-of-the-art interactive, exhibition of volcanic activity, earthquakes and the creation of Iceland over millions of years. Next we continue to the south shore. 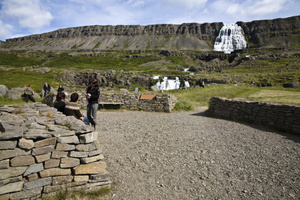 We will stop by amazing waterfalls, Seljalandsfoss and Skógafoss, some of which you can walk behind. Black sandy beaches, high and steep cliffs, glaciers and various lava formations can be seen along the way, as well as numerous farms, agricultural livestock, and birds. Next we'll drive to Reynisfjara and watch the roaring ocean playing on the volcano beach. Overnight in the south. We tour the Lake Mývatn area, considered as one of the most fertile regions in the world so close to the Arctic Circle and also known for its abundant bird life and amazing volcanic lava landscapes. 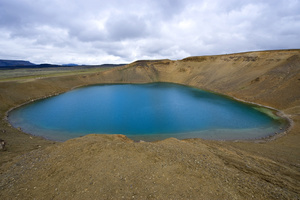 The lake's unique features are shaped by nature - strange lava formations, any kind of volcanic craters, attractive bays filled with thousands of birds and ducks. The heavy volcanic activity in the region surrounding Lake Myvatn over the last few thousand years accounts for extraordinary and sometimes eerily beautiful land formations and geology. Dimmuborgir, on the east side of the lake, are a badlands of lava pillars, caves, rugged crags and towering rocks, some of which reach 20 meters (65 ft) in height, forming almost unearthly and alien castles and towers. We stroll through the mysterious lava field of Dimmuborgir, look at pseudo craters and see the tephra cone Hverfjall. Our next stop is Goðafoss Falls that could be translated as The Waterfall of The Gods. An impressive site any time of year it’s a particularly otherworldly place to visit. In the afternoon we go to Husavik nestled on the edge of Skjálfandi Bay. Husavik is globally recognised as one of the best locations in the world from which to watch whales. 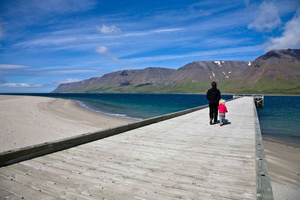 In fact, there is a higher chance of seeing whales in Húsavík than any other place in Iceland. Our last stop today is a unique experience at Dalvik beer baths. Beer bath, where you bathe in both young beer and live beer yeast, without showering it off until some hours later, has an extremely powerful effect on the body and skin. This treatment is both cleansing for the skin and has a very positive effect on health. Dinner and overnight at Hotel Siglo. Now you are in for a very unique experience. 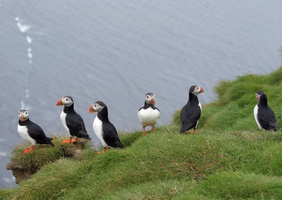 You will be driving the scenic road from Siglufjord towards and into the Icelandic highlands. You will in fact be driving into Iceland´s center and wilderness by a mountain road, only open during the summer. It takes you from North to South by crossing the middle of Iceland. You will experience the true wasteland and see the reason why Iceland is only inhabited around the coast line. It is totally safe and well worth a whole day´s driving. You will pack lunch before you start the tour and Kári your driver will stop somewhere on the way where you can enjoy the beautiful true nature of Iceland. The highland road ends at Gullfoss waterfall in the South and from there you take a now familiar road to Reykjavík. 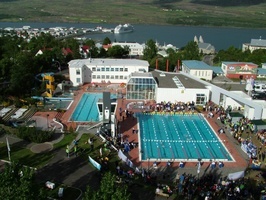 Overnight at Reykjavík Marina Residence. Today we say goodbye and look forward to seeing you again! These are carefully selected best hotels in the area. Iceland does not have 5* hotels at this time. The first 5* hotel is scheduled to open in 2019.